Hey Boca! Who are you voting for in November’s General Election? Are you tired of goofy polls that have farcical results Boca Raton? Let’s step it up a notch and use today’s technology, at least. This poll lets you see the counts and the percentages of the responses in real-time. 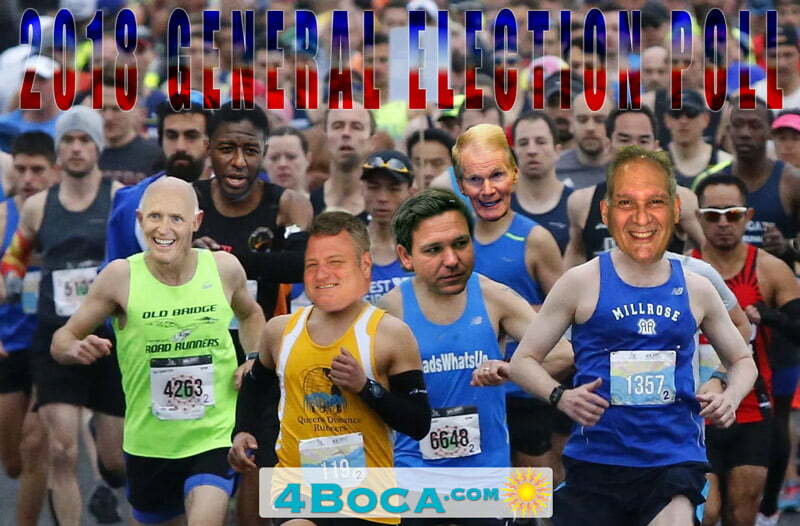 This 2018 General Election Poll has only the candidates that are relevant to voters in Boca Raton. The votes in this election will determine the future of Florida: tomorrow’s schools, tomorrow’s roads, tomorrow’s taxes. Do we keep the course or go radical? Tell us in the poll below.